The average Indian buys a home when they are between the ages of 35 and 38. This means that the average Indian gets down to buying a home once they have families. Moreover, people plan for years before zeroing in on a home and the bank from which they plan to take a loan. Now, if you spend so much time making sure that you are able to purchase the best home and at the best rate of interest, why not save on it, right? One way to save on your home loan is to take the loan in a woman’s name. This means that the home loan and the home will be in the name of a woman in your family. Almost all banks and housing finance corporations (HFC) in India offer lower interest rates for women. The difference in interest for the same amount and tenure is anywhere from 0.5% p.a. to 1% p.a. While this may seem like a minor difference, it makes a huge difference when this rate is applied on loans that run into lakhs. Think about it. If you take a home loan from SBI for Rs.30 lakh and 20 years, the interest rate charged is 8.75% p.a. for males. The EMI for this amount would be Rs.26,511. The total amount you will repay with interest on this loan is Rs.33,62,717. The interest rate offered to women is 8.7% p.a. The EMI will be Rs.26,416. This doesn’t seem too different from the interest rate offered to males. However, the total interest you pay on this loan is Rs.33,39,765. The difference is Rs.22,952. Which is a huge amount and depending on the interest rate and the loan amount, this could be even larger. 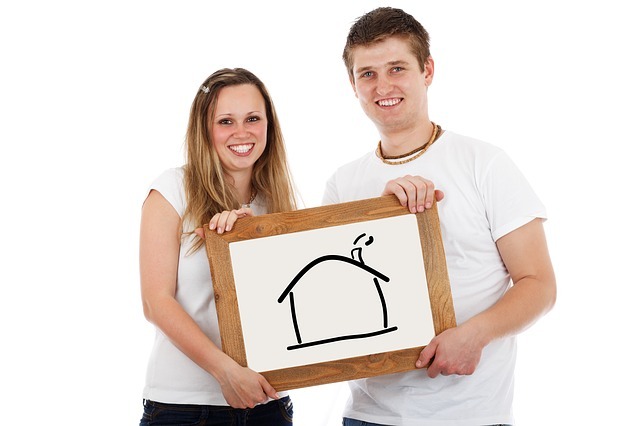 If you and your spouse are co-borrowers and have joint ownership of your property, you also get to claim tax benefits. If both of you earn, then tax benefits on your home loan can be claimed by both parties instead of just one. This will help you save without having to make any additional investments. Section 24: You can claim up to Rs.2 lakh in interest payments per financial year if you occupy your property. If you decide to rent out the property, you can claim the entire interest on the home loan against the rental value (net). Section 80C: If you decide to occupy the property, tax deduction towards principal is Rs.1.5 lakh for each financial year. For both these rebates, you and your spouse can each make a claim up to the maximum amount of Rs.2 lakh and Rs.1.5 lakh. Some states offer different stamp duty rates when you register the property in the name of a woman. This is their way of incentivising women to own property. So, registering your home in a woman’s name can help you save a substantial amount when it comes to stamp duty. Here’s something you may not have been aware of: if you register your property in a woman’s name in Jharkhand, you have to pay only Rs.1 as stamp duty. Whereas it is 7% for male property owners. If you are planning to take a loan in a woman’s name and register the property in her name, it is better if she has her own source of income. Registering your property under the name of a woman who is a homemaker, could be seen as a way parking excess funds. This could lead to the government coming down heavily on this transaction since it will be labelled as a benami transaction. If both parties involved are earning an income, both can claim tax benefits as mentioned earlier. In fact, the rental income earned if they rent the property will be separately taxed. However, if the woman is not earning an income or has made no monetary contribution to buying the property (despite it being registered in her name), the income earned by renting the property will be counted as that of the earning party and they will be taxed accordingly. You may find it difficult to get a home loan in a woman’s name if she doesn’t have a source of income. At the end of the day, taking a home loan in a woman’s name will help you save a lot of money. That being said, if it isn’t possible to do so, having a woman as a co-borrower also goes a long way. In fact, co-borrowing and joint ownership of a property helps both parties involved when it comes to saving money, especially with respect to taxes. So, before applying for that home loan, take a deep breath, spend some time doing your research, and ensure that you end up making a decision that helps you save significantly!